Endomorphs can gain weight by just looking at a chocolate cake! Okay, it’s not true but not far- fetched either. Carbs are their real enemy. A slight increase in carbs intake can make them gain extra pounds. And oh! it’s so unfair. Ectomorphics and mesomorphics have the liberty to eat whatever they want and still be in shape. Genetics play an important role in deciding whether you are an ectomorphic (thin), mesomorphic (naturally aesthetic) or endomorphic (gain weight easily). Heredity factors can account for as much as 70% of body mass index (BMI). Endomorphs have difficult time losing weight due to their sluggish body metabolism and low carb tolerance. Endomorphs were evolutionary winners in hunter-gatherer societies when food was scarce. With slow fat storing metabolism they were insulin dominant and pro at storing energy in the form of fat to withstand difficult climate and go longer without food. In 21st century where burgers, cold drinks, potato chips and cookies are in abundance, endomorphs find it destined to be overweight. However, proper workout and healthy diet can help endomorphs stay fit and lean. The key for endomorphics is to work with and not against their genetics. Find out your body Type- Are You Ectomorph, Mesomorph or Endomorph? Endomorphs need to work twice as hard as mesomorphs and their workout plan are considerably different than the mesomorphs and ectomorphs. Endomorphs need to not only focus on gaining muscle mass but also need to lose their fat mass. It is a typical double edge sword and balancing the muscle mass and fat mass is a tough job. Endomorphs have the ability to put on muscle fast, but this also comes at the expense of fat gain. They respond well to cardio and heavy, compound lifting. To keep fat gain to a minimum, endomorphs must always train using cardio as well as weights. High-rep, low-weight training can be done as extra work. They need to focus on specific part on their body. Tone the chest first then tone the back and the thighs, etc. Burning the calories is required to lose the fat and high repetitions with high intensity is they way to go. Cardio exercises should always be on top of the list of priorities. 1) Go for weight training- It doesn’t matter if you are cutting or gaining the muscle. Weight training will increase the amount of muscle mass which will increase your base metabolism rate. You will have less chances of storing or holding the fat. Endomorphs need to lift heavy weights because lifting small weights will not help you in losing fat so easily. However, you should continue in lifting heavy weights only if you feel comfortable. 2) Cardio- Include cardio into all your workout sessions. Cardio exercise will fetch you maximum benefits if the main goal is to burn calories. However, never do cardio before weights. This is a bad combination. Cardio tends to use up your energy stores which results in compromised workout. You might lose fat but your workouts will suffer a great deal. Rather, if you have to do cardio and weights on the same day try spacing them out as far as possible. So, doing weights in the morning and cardio in the late afternoon or vice versa. Just allow for enough time to recover. Another option for you is to do cardio right after weights. This has an advantage of burning more fat. The reason is because your energy stores are all used up, so therefore your body looks to your fat to burn as energy. Weigh lifting take a lot out of the body, which might make your cardio suffer a little. 3) Never do is cardio and leg workouts on the same day. You might feel terribly wobbly, unbalanced, and your legs tire extremely fast. Try spacing cardio as far away from leg workouts as possible, because doing cardio on super sore legs is a bad idea. 4) Don’t jog or run on treadmills for hours. Ditch the long, slow, steady-state cardiovascular workout. Instead perform intense and interval-based workout to strip the best. HIIT or high intensity interval training works best. High intensity of cardio exercises for about 20 minutes twice a week is a must to burn maximum fat. 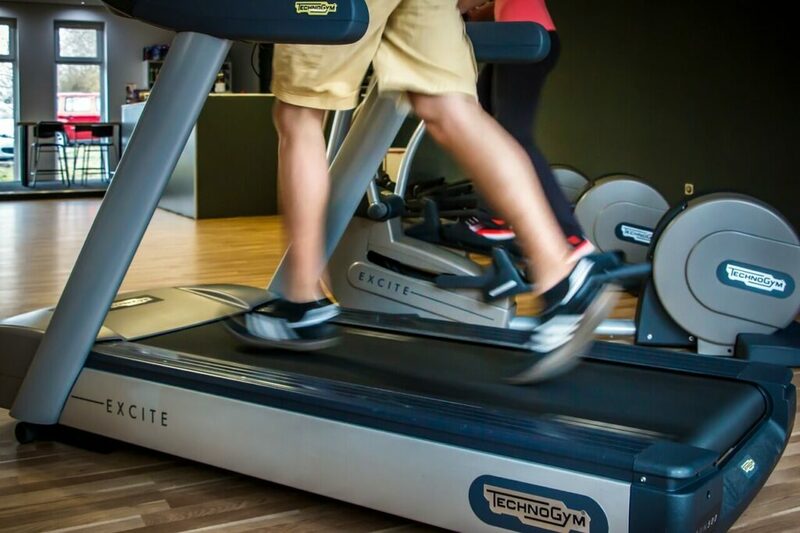 Fast paced walking on a treadmill including spinning and step class exercises are best if you want to reduce your weight. 5) Don’t do hundreds of crunches to try and reduce the weight. Spot-reducing fat just doesn’t work. You need to lose fat from everywhere to reduce your waistline. 6) Take proper rest to ensure that the increased metabolic response from each training session spill over into rest days. The calories you ingest during the recovery period will help your muscles grow rather than turning into fat. 7) Prefer drinking water to stay hydrated. Avoid sports drinks. Cardio HIIT is relatively short and high intensity, about 15 -20 minutes max. Therefore, little muscle is burned. Also because it is high intensity, its burns more net calories than long 30-60 minute runs which a lot of people do when trying to lose fat. Keep rest periods between 30-45 seconds during workout sessions. Be sure to know your body’s limit as you do not want to hurt yourself. Stop if you have to but always keep an intense mindset. Maintain proper hydration and always remember to be safe. If you can’t run for that long, gradually ease you way into it by first starting slow and then progressing. Start off with only 10 minutes for the first few cardio sessions and then go up to 15 minutes. It is essential to have realistic expectations from our bodies. Ectomorphs should not aspire to be a sumo wrestler and neither should an Endomorph try to look like Cameron Diaz. Read Top 10 Dieting tips for Endomorphs.